The sunset approaches in a Seattle evening covered by patchy clouds. 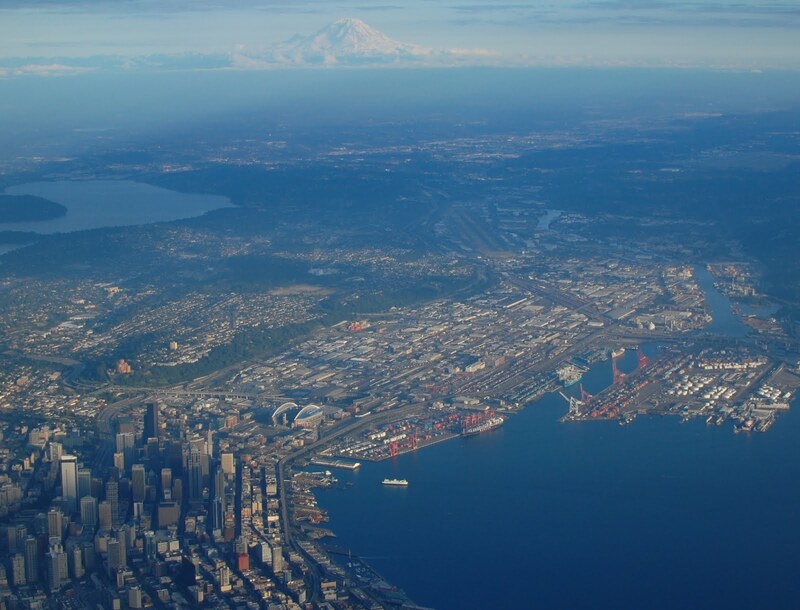 Mt Rainier looms in the distance, downtown sulks to the foreground, and Harbor Island and the municipal airport stretch across the middle half of the frame. 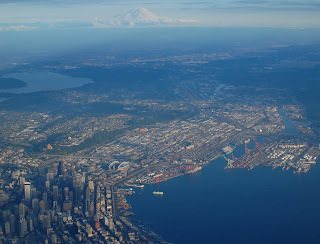 Lake Washington stages an appearance to the east. It was a beautiful day for flying!